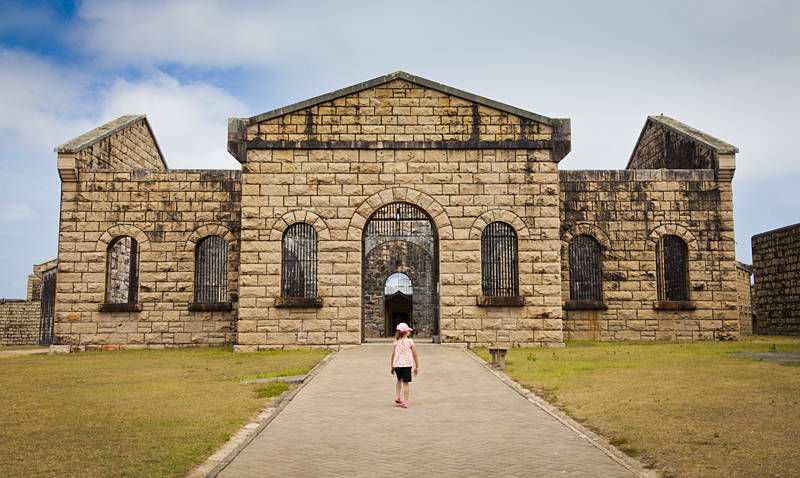 This is Trial Bay Gaol in New South Wales, Australia. Building began in 1877 and inmates moved into the prison in 1886. A breakwater and wharf were built on the coast creating a harbour which could be used by ships too big to navigate the river. It currently holds a museum and is promoted as a wedding venue by the tourist board. Is there a metaphor there ? Girl enters institution, Maybe that is why they use it as a wedding venue.